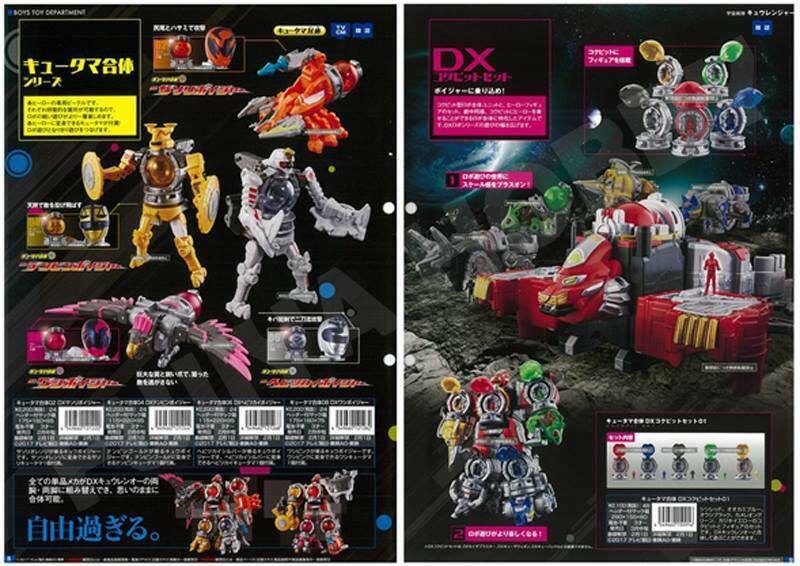 Check-out these better (no watermark) scanned versions of the 1st quarter toy catalog for the Uchuu Sentai Kyuuranger toy series coming 2017. 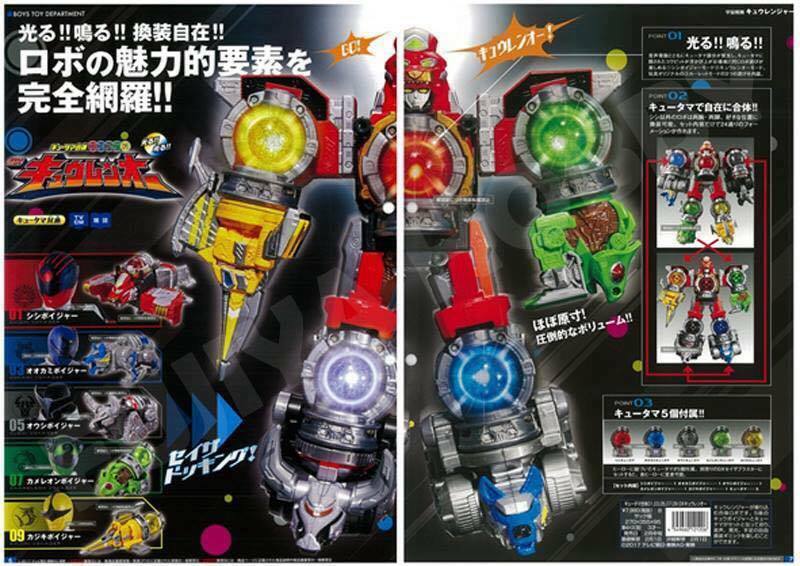 First image the DX Seiza Blaster which will function as the main transformation device for the 9 members of Kyuuranger. Along with it are the Kyudama, the gimmick that will be used next year. Up next is the Kyuza Weapons (weapons of the 9 constellations) can transform into 9 different weapons that are ranger specific: sword for red, axe for black, slasher for yellow, sickle for silver, spear for orange, crossbow for gold, rapier for green, claw for blue and shot for pink. Lastly, the ranger vehicles are called Voyagers. 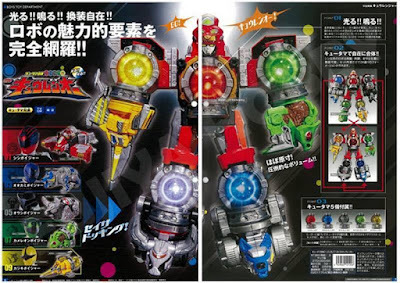 The voyagers will combine to form their primary mecha called Kyurenoh and will have 2 modes. That's a crazy-cool looking Kyuza Weapon. Definitely getting my hands on one. 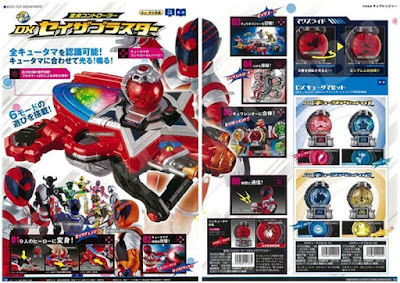 Wonder if they're gonna sell the collectibles individually like they did with the NinShurikens. Kinda lame that in a season with 9 heroes we still only get 2 girls. 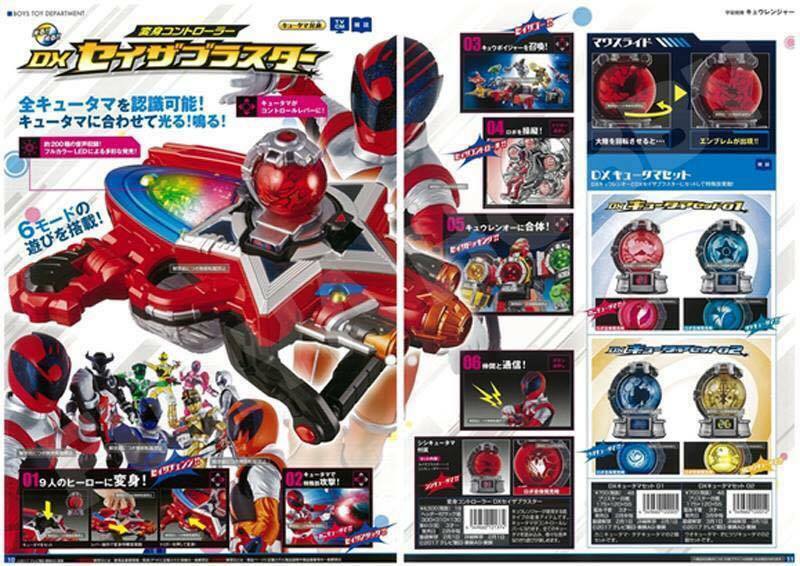 After cube, we now have spheres. Next will probably be pyramids and Egyptian theme I am calling it now. I think I can see the future, namely the pain my bank account will feel. 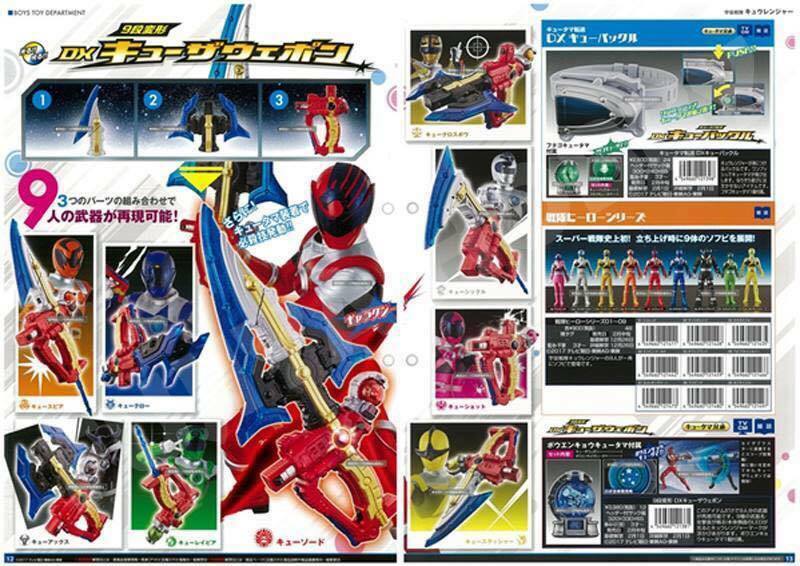 1 weapon with 9 forms is just too cool to pass up, and considering the modular build, there may be expansion packs in the future.